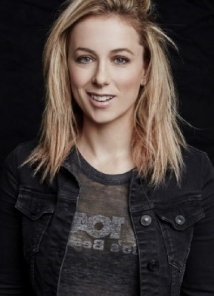 Originally from Dallas, Iliza Shlesinger moved to Los Angeles after graduating from Emerson College. She is the only female and youngest comedian to hold the title of NBC's Last Comic Standing. In 2013, her debut one hour comedy special, War Paint reached #1 on the iTunes charts and was named one of the "Top Ten Albums of 2013" on iTunes. In early 2015, her follow up Netflix Original Comedy Special Freezing Hot sealed her title as one of the hottest touring acts in America. Her live stand-up résumé also includes performing at the coveted Montreal Just for Laughs Festival, hundreds of clubs and colleges, and in various countries for our troops overseas. Iliza loves the troops and was honored to participate in The Chairman of the Joint Chiefs of Staff's personal USO Tour throughout the Middle East and Europe as well as Al Roker’s Today Show USO Tour in Afghanistan with Jay Leno and Craig Robinson. Her television credits include hosting CBS's syndicated comedy dating show Excused, in which she filmed 230 episodes, as well as multiple appearances on NBC's Late Night with Jimmy Fallon, TBS’ Deal With It, Comedy Central Presents, Comedy Central's Live at Gotham, E! Network's Chelsea Lately and The Soup, NBC's Last Call with Carson Daily, and TBS’ Who Gets the Last Laugh?